With the 88th overall selection in the 2014 NHL Draft, the Chicago Blackhawks select center Beau Starrett. 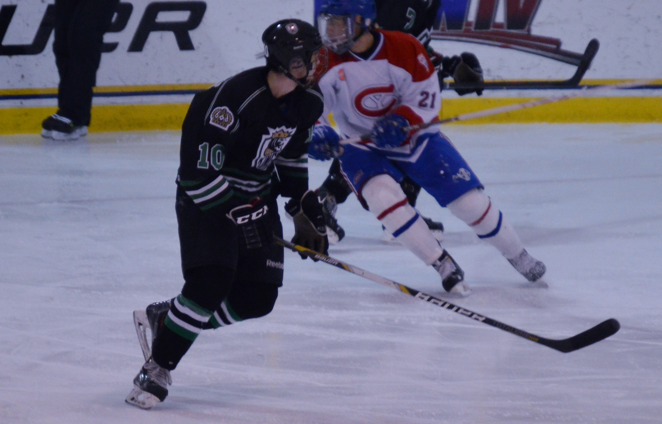 Starrett, 18, had 47 points (11 goals, 36 assists) in 48 regular season games with the U.S. Premier Hockey League’s South Shore Kings. He registered 18 power-play points (4 goals, 14 assists) and 94 penalty minutes. He had one goal in five postseason contests. Starrett is committed to Cornell University next year. Another excellent pick by Bowman…lots of size, with a huge frame to fit lots of muscle development…but for a big kid, he has speed and nice hands…just a great pick! Starrett is going to a programme that is ideal for him…very promising.